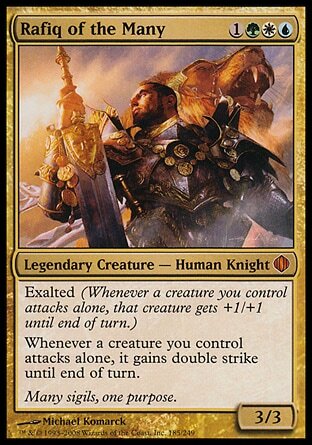 Knight Mardis appears at Elspeth's quarters at her request. They awkwardly ask about each others' health, and then share an awkward silence when Elspeth says she has a gift for her and then realizes she actually has no such thing. He guesses correctly that she wants to say good-bye and he tells her she has to stay. She says she can't. When she says that she understands that leaving her duties means she'll be banished forever, but still remains committed to this course of action, the look of hate in his eyes makes her happy. She wants it to be easier for him to let her go. He leaves saying he'll remember her but she doesn't believe it to be true and then she planeswalks away. Sarkhan doesn't know where his master is but he fears he'll be facing his wrath because the war didn't go as well as it should have. For a moment he considers what it would be like if he just jumped into the lava and let himself sink into it. He cackles a crazily at the idea and leaves Alara. Rafiq checks in with Mubin. They think everything is set for the procedure. Once they insert the etherium into him should be healed and walking in no time. The rhox pushes away his concerns and gives in to the excitement. His legs are numbed and sliced open, then the clerics pour the liquid in. Energy rushes throughout his body and he can feel his body responding. He feels stronger. He feels younger. Then he feels that something is wrong. "Sure," said Mubin. I'll be dancing. In no time." "I'm fine. Growing pains." The old rhox smiled. Purple contusions slithered up his cheeks. "Mubin, I'm sorry," Rafiq whispered. "I've failed at every turn." "It's not about that, old friend," said Mubin. "Your virtue... made you blind. While you looked into the sun, they stabbed you... You just never-"
Mubin coughs up blood then his eyes close, never to be opened again. A squire tells Rafiq it's time for his ceremony. He's to be given the Grand Laurel but he doesn't much care. His friend is dead. He just stares at a spider moving in circles as it makes its web while his squire helps make him look presentable. He contemplates the nature of fate, of being caught up in destiny, and when the squire asks him if he would like to wear Mubin's sword or his own, he tells the squire that it's not his choice to make. The squire leads him out of the chamber as the spider completes one more circle of its web. Ajani tells Zaliki some important news. Considering everything that's happened, the elders chose him to be kha but it's not a role he can perform. He's leaving. But when he leaves he wants to know the pride will be in good hands, he's chosen her to be kha because he knows that she will protect the pride and follow Jazal's example and teachings. He hasn't completely forgiven her, but he he trusts her. She thanks him and then leaves. Ajani scrubbed all night until the floor was clean. He carried the bucket outside the lair and dumped the soiled water over the ledge, into the jungle below. The scene with Mardis wasn't developed well. 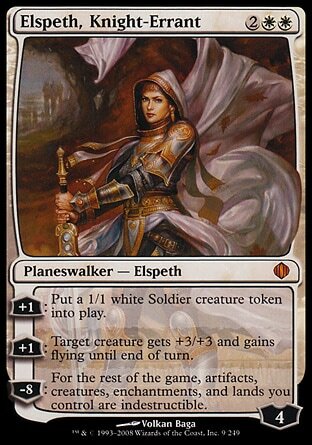 We got plenty about Elspeth liking her life on Bant, but we never really got to see her make a connection to anyone at all, except for her time with Ajani. He was the knight she was training with that got "stabbed" with her sword, and was the one that was launched at the mage creating the storm in the beginning of the war. Neither of those scenes showed any sense of a close connection between the two. Perhaps that's the reason why the good-bye to Mardis was made so awkward, because it really wouldn't have made sense no matter who she talked to because she's really been pretty isolated despite living in her paradise choice of a world. If it will be awkward because her story never had a chance to be developed, might as well make her on page experience awkward too. Now Rafiq and Mubin on the other hand... we've seen their friendship throughout the whole book, and his death actually felt much better. It actually felt sad. As for the close to Rafiq's story... considering out much of a dupe he's been during the whole war, I guess it's fitting that his final scene has him realize just one more mistake he's made. The problem is that I don't think my reaction to his slaying of Malfegor was the intended reaction. For people who might actually interpret that moment as one of heroism and destiny fulfilled... this ending for his might be quite hollow and off-putting. I get the Ajani's cleaning up his past. He's putting it behind him before he goes and travels the multiverse. The symbolism is fine, but the closing line to the book could certainly have used some revisions. Ending on, "the jungle below" just doesn't do it for me. And that's it! We're done! Alara is unbroken. I'm disappointed with Elspeth. It is much better in Quest of Karn. Appeared very little in the story was weak and when it appeared. Rafiq very weak character, at first there comes to be funny and your inoencia Tolis, but after a while just tired. 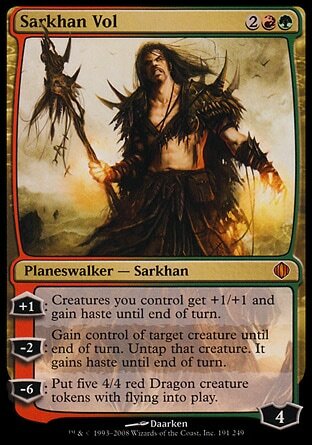 Sarkhan balls before a character is cool, then gives a great fall. And unfortunately I know your destination. It could have been better used by the wizards instead of being discarded soon. Unfortunately very little usable Esper was in the book, had great interest in learning more about their culture, beings, etc.. 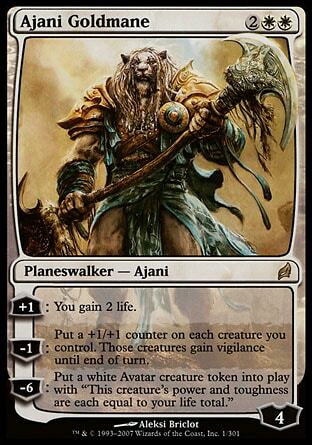 I liked a lot of things but Ajani, others less so, but nobody is perfect. 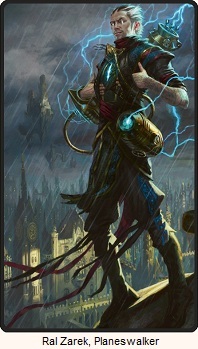 I hope to see him in some more novel, for while I read the newest Quest of Karn and other horrible Zendikar. Throughout the book until the final impression that I love Zaliki Ajani, but probably m the face of everything that has happened she has no chance with him. But I have to say that I really enjoyed the book, read it all in two days to three days. Much faster than what I read Zendikar and Quest of Karn. I liked Quest of Karn, memories of the old tales of magic, a good soundtrack while reading (Soviet Connection GTA IV Theme) and a long time without playing magic drove me. 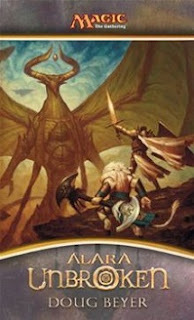 Alara Unbroken It was just really cool in my opinion, was the last block of magic queensize I liked and followed, good storytelling, etc.. 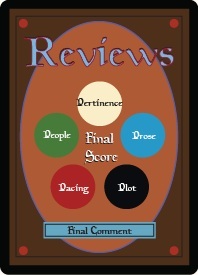 Very good, just felt a lack of character or other further investigation, but we must bear in mind that the writers of these novels of magic have to write so seized.